Palm Springs, CA, December 7, 2017 (Newswire.com) – Aspire Homes President & CEO Daniel Baileyannounced that Palm Springs-based custom homebuilder of Mid-Century Modern designed new homes will debut three luxurious homes in South Palm Springs overlooking the Indian Canyons Golf Course in January. The three homes are located on Sierra Madre and Santiago Way. PALM SPRINGS, CA, September 19, 2017 (Newswire.com) – Palm Springs Life Magazine profiled Aspire Homes in their latest issue, Aspire Homes President & CEO Daniel Bailey announced. “It is a real honor for a quality publication like Palm Springs Life to highlight our work. We are all very proud,” Bailey said. There continues to be a high demand for custom homes in the South Palm Canyon area. Bailey added that in addition to their Cielo project, Aspire Homes has just broken ground on three large Mid-Century Modern custom homes in South Palm Springs off Murray Canyon Drive and Sierra Madre, overlooking the Indian Canyons Golf Course. “There continues to be a high demand for custom homes in the South Palm Canyon area. The challenge has been finding good lots with breathtaking views to build on. We were able to secure three prime lots upon which to build,” Bailey said. Aspire Homes, a custom home building company focusing on Mid-Century Modern designed homes, was founded in Palm Springs, California, and is a part of the HollyHills Group family of companies. PALM SPRING, Calif., September 6, 2017 (Newswire.com) – Aspire Homes President & CEO Daniel Bailey announced that Palm Springs-based custom homebuilder of Mid-Century Modern designed new homes has broken ground on two luxurious new homes in South Palm Springs overlooking the Indian Canyons Golf Course. The two homes are located on Sierra Madre and Santiago Way. “There is a great demand in Palm Springs for new custom homes in the southern end, but lots to build upon are very difficult to come by. We have secured two outstanding lots overlooking the Indiana Canyon Golf Course featuring fairway views of the gold course as well as breathtaking views of the San Andreas Mountains,” Bailey said. The first home will be located at 2740 Sierra Madre. This home will host four bedrooms, 4 ½ baths and a three-car garage. The second home, located at 2720 Sierra Madre, will boast 5 bedrooms, 4-½ baths and a two-car garage. Both homes will feature high-end finishes featuring stunning flooring and bathroom tiling, gourmet styled kitchens and entertaining designed pool and spa patios. Palm Springs, California, August 30, 2017 (Newswire.com) – Aspire Homes President & CEO Daniel Bailey announced that the custom home building firm will launch the final phase of development of their Mid-Century Modern designed new home project in Palm Springs, called Cielo. “We will break ground in November on the final phase of our Cielo Mid Century Modern custom home development.” Bailey stated. He added; “These final four homes, to be located on Palm Ave., in Palm Springs, will bring to twelve the total number of homes in this stunning development,” Bailey said. To date, Aspire Homes has completed the construction of eight new custom homes at Cielo. We will break ground in November on the final phase of our Cielo Mid Century Modern custom home development. Aspire Homes, a custom home building company focusing on Mid-Century Modern designed homes, was founded in 2012 in Palm Springs, California, and is a part of the HollyHills Group family of companies. For more information about Aspire Homes and their Cielo project, visit its Website at Aspirehomes-ps.com or contact Leaskou Partners at 760-799-4290. Palm Springs, CA, June 13, 2017 (Newswire.com) – Aspire Homes, LLC. President & CEO Daniel Bailey announced that the custom home building firm will be opening its second California office in El Dorado Hills later this summer. Aspire Homes, a custom home building company focusing on Mid-Century Modern designed homes, is a part of the HollyHillsDevelopment family of companies. The home building company is also expanding into luxury apartment home development. Palm Springs, CA, June 6, 2017 (Newswire.com) – Aspire Homes President & CEO Daniel Bailey released his bullish analysis of the Palm Springs custom home residential market today. Aspire Homes focuses on construction of Mid-Century Modern custom homes in Palm Springs. “The Palm Springs residential real estate market doesn’t seem to follow predictable trends. Just fifteen years ago, the Palm Springs market was stumbling. Today, the Mid-Century modern custom home design is thriving in the market. We are approaching the highs we last experienced in 2006.” Bailey stated. Bailey believes one of the driving forces behind Palm Springs resurgence has been the focus City leaders have put on preservation of its mid-century modern architecture. In addition to the City’s focus on preservation of it’s architectural past, both City and civic leaders have united to create numerous promotional events such as Modernism Week that brings tens of thousands of visitors to Palm Springs annually to celebrate the historic Mid-Century Modern architecture and lifestyle. “You would be hard pressed to find another city in America that celebrates its architectural history and style, and works so hard to preserve it as Palm Springs does.” Bailey added. Bailey noted that the Palm Springs single-family median price, which plummeted in the late 2000’s after achieving a record high in the mid-2000, is coming back strong. “In 2006, the median price for a single family home in Palm Springs hit a record high of $600,000. By 2011, the median price had plummeted to $335,000. In 2017, we see the median price has rocketed back up to $559,000, just 7% off of the record 2006 highs. I fully expect by 2018, Palm Springs will be setting new records in its median home pricing.” Bailey said. Aspire Homes, a custom home building company focusing on Mid-Century Modern designed homes, is a part of the HollyHillsDevelopment family of companies. Palm Springs, California, May 30, 2017 (Newswire.com) – Aspire Homes President & CEO Daniel Bailey announced that the Palm Springs-based custom homebuilder of Mid-Century Modern-designed new homes has broken ground on three luxurious homes in South Palm Springs overlooking the Indian Canyons Golf Course. The three homes are located on Sierra Madre and Santiago Way. “There is a great demand in Palm Springs for new custom homes in the southern end, but lots to build upon are difficult to come by. We have secured three outstanding lots overlooking the Indiana Canyon Golf Course and the beautiful San Andreas Mountains.” Bailey said. The first home, located at 321 Santiago Way, will be a three-bedroom, 2-½ bath home with a three-car garage, and will be 2,398 square feet. The second home will be located at 2740 Sierra Madre. This home will host four bedrooms, 4 ½ baths and a three-car garage, coming in at 2,910 square feet. Finally, the third home, located at 2720 Sierra Madre, will boast 5 bedrooms, 4 ½ baths and a two-car garage with a golf cart suite. All three homes will enjoy high-end finishes, will be built with full Solar packages and enjoy majestic views of the golf course fairways and breathtaking mountain views. Palm Springs, California, May 25, 2017 (Newswire.com) – Aspire Homes President & CEO Daniel Bailey announced that Palm Springs-based Leaskou Partners Real Estate firm has been selected to be the home builder’s exclusive Listing representative of their Mid-Century Modern-designed new home project in Palm Springs, called Cielo. “Leaskou Partners is recognized as the pre-eminent new home listing sales firm in the Desert. They have already sold two homes just weeks after we signed them up. We are thrilled with their performance and momentum,” Bailey said. Aspire Homes has a Mid-Century Modern 12-custom-home development project in the Demuth Park neighborhood of Palm Springs called Cielo. In addition to their Cielo project, Aspire Homes has just broken ground on three large Mid-Century Modern custom homes in South Palm Springs off Murray Canyon Drive and Sierra Madre, overlooking the Indian Canyons Golf Course. Aspire Homes, a custom home building company focusing on Mid-Century Modern-designed homes, was founded in 2012 in Palm Springs, California, and is a part of the HollyHills Development family of companies. Palm Springs, California, May 24, 2017 (Newswire.com) – Aspire Homes President & CEO Daniel Bailey announced that the custom home building firm will launch the final phase of development of their Mid-Century Modern designed new home project in Palm Springs, called Cielo. “We will break ground in September on the final phase of our Cielo Mid Century Modern custom home development.” Bailey stated. He added; “These final four homes, to be located on Palm Ave., will bring to twelve the total number of homes in this stunning development,” Bailey said. To date, Aspire Homes has completed the construction of six new custom homes, with two currently under construction at Cielo. Palm Springs, California, May 16, 2017 (Newswire.com) – Aspire Homes President & CEO Daniel Bailey announced that the custom home building firm has completed two-thirds of their Mid-Century Modern designed new home project in Palm Springs, called Cielo. Palm Springs, CA, May 1, 2017 (Newswire.com) – Aspire Homes President & CEO Daniel Bailey announced that his custom home building firm has broken ground on two new Mid-Century Modern custom homes at their 12-home track, Cielo, in Palm Springs. The two new custom homes will be approximately 1,530-square-feet, 3-bedroom, 2 ½-bath homes featuring a pool, heated spa and a disappearing wall off the Great Room with breathtaking mountain views. The homes are listed in the $600,000s. 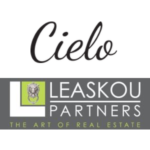 Leaskou Partners of Palm Springs is the real estate sales firm of record for Cielo. Aspire Homes, a custom home building company focusing on Mid-Century Modern designed homes in Palm Springs, California, is a part of the HollyHills Development family of companies, which was founded in 1995.